Turn your mundane grocery list into something fun and exciting! 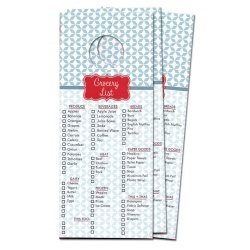 Our grocery hangers will keep your list on hand and ready to take to the market. Buy some for yourself and for the forgetful Frannies in your life.